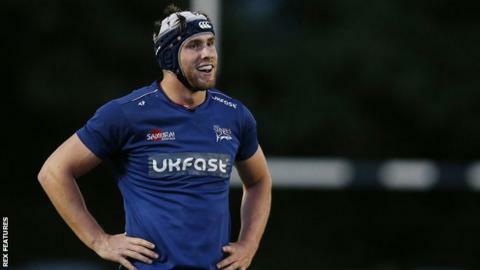 George Nott has signed a five-year contract with Sale Sharks. The forward, 21, made his Premiership debut in February and has made four league appearances this season. Nott, an England Under-20 international second row, follows fellow academy graduates Ben and Tom Curry in committing his future to the Sharks. "The drain on players coming through our successful academy system and then moving south has come to an end," Sale director of rugby Steve Diamond said. Nott becomes the 12th player to recently sign a new contract with 10th-placed Sale and his new deal follows the returns of Will Cliff and Marc Jones from Bristol and the signing of Scotland international Josh Strauss from Glasgow.